SEGA Games starts with the Letter "E" / Page "1" / SEGA Genesis / Mega Drive games | SSega Play Retro Sega Genesis / Mega drive video games emulated online in your browser. Earnest Evans (アーネスト・エバンス Ānesuto Ebansu) is a 1991 action platform game which was released in Japan for the Sega Mega-CD, and in North America for the Sega Genesis. 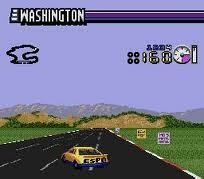 The game was developed and published by Wolf Team in Japan, and was published in the US by Renovation. As with Sol-Feace, the Mega-CD release has a CD soundtrack along with animated cut-scenes created by Madhouse. 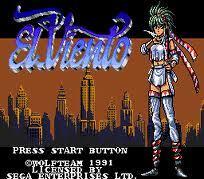 It is the first in a trilogy of games which include El Viento and Anett Futatabi. Earth Defense (aka: The Earth Defend) is an unlicensed game for the Sega Mega Drive/Genesis; it was developed by AV Artisan and published by Realtec in both North America and Taiwan, without a license from Sega. The game cartridge and box shapes as well as quality in graphics and box art are identical to AV Artisan's previous titles Funny World & Balloon Boy and Whac-A-Critter, both published by Realtec. 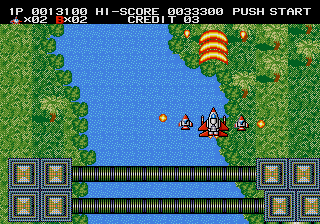 Earth Defense was also rare in that it was a simultaneous 2 player vertical scrolling shoot 'em up on the Genesis which primarily featured single player shoot 'em ups. The player takes on the role of a jet pilot assigned to liberate five world continents from a technologically advanced army. 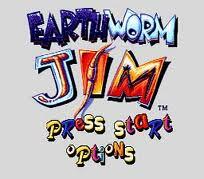 Earthworm Jim is a run and gun platform video game featuring an earthworm named Jim in a robotic suit who battles evil. Created by Doug TenNapel and designed by David Perry, the game was developed by Shiny Entertainment and Playmates Interactive Entertainment. 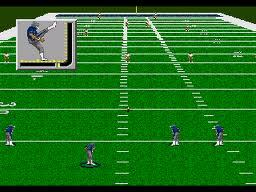 It was released for the Sega Genesis in 1994, and subsequently ported to a number of other video game consoles. The game was noted for its fluid, cartoon-like animation. 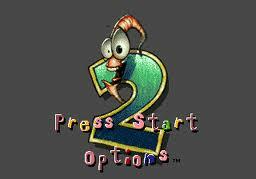 It was well-received by critics, and received a sequel, Earthworm Jim 2, in 1995. Fifteen years later, Gameloft developed a high definition remake for the PlayStation Network and Xbox Live Arcade, titled Earthworm Jim HD, in 2010. Earthworm Jim 2 is a run and gun platform video game starring an earthworm named Jim in a robotic suit who battles evil. It is a sequel to the original Earthworm Jim, and the second and final game in the Earthworm Jim series developed by original creators Doug TenNapel, David Perry, and Shiny Entertainment. It was released in late 1995 and early 1996 depending on region and video game console, initially being released for the Sega Genesis and Super Nintendo, before being ported to many other consoles. 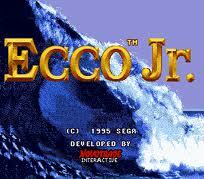 Ecco Jr. is a video game in the Ecco the Dolphin series, released in Summer 1995. 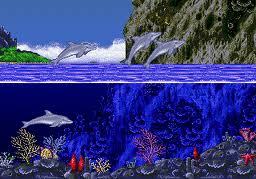 It had the controls and basic gameplay of the other two Mega Drive/Genesis titles, but was very much geared towards younger players, lacking the high difficulty of Ecco the Dolphin and Ecco: The Tides of Time. Ecco the Dolphin (title screen: Ecco) is an action-adventure game originally developed by Novotrade International for the Mega Drive, and published by Sega in 1992. The game's designer is Ed Annunziata. It is the first installment in the Ecco the Dolphin video game franchise. The player character, Ecco, is a bottlenose dolphin who travels through time to combat hostile extraterrestrials in Earth's oceans and on an alien spacecraft. 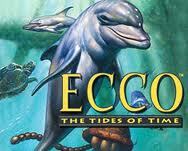 Ecco: The Tides of Time is the second game in the Ecco the Dolphin series is the sequel to Ecco the Dolphin for the Sega Mega Drive, Game Gear, and Mega-CD, developed by Novotrade International and released in 1994. The Tides of Time continued the story of the first game and featured similar gameplay with a few new additions. 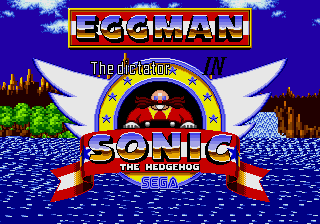 Eggman the Dictator in Sonic the Hedgehog (aka Eggman in Sonic 1) is a rather interesting hack of Sonic the Hedgehog made by L0st - Sonic is replaced byEggman, who runs through the stages. Due to Eggman's larger sprites, the mappings and collision engine were rewritten from scratch, and Eggman also jumps at the same height and runs at the same speed, above and below water. As a result, Eggman cannot collect rings, open item boxes, destroy enemies, be hurt by objects or drown—the only way to kill Eggman is by landing on spikes, getting crushed, or falling off the screen (all three of which require a reset). Because of this, the hack is little more than a novelty, but is an impressive one nonetheless. Eggman can't use debug mode either, but Level Select still works. Also the Special Stages are unchanged, as Eggman can't enter Special Stages from the main game. El Viento (エル・ヴィエント, Eru Viento?, derived from Spanish meaning "The Wind") is a 2D platform video game released by Wolf Team and published by Renovation Products for the Sega Mega Drive/Sega Genesis game console in 1991. 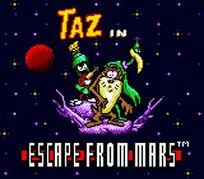 It is the second in a trilogy of games, which include Earnest Evans and Anett Futatabi. The game possesses many references to H. P. Lovecraft's esteemed Cthulhu Mythos. As with many Wolf Team games, the music was composed by Motoi Sakuraba. Elemental Master is a top down shoot 'em up video game developed by Tecno Soft for the Sega Mega Drive and released in 1990 in Japan, and in 1993 in North America by Renovation Products. 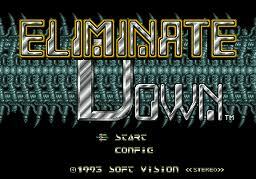 Eliminate Down (エリミネートダウン, Erimineto Daun?) 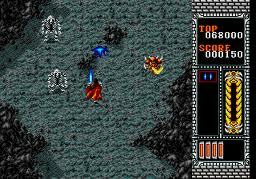 is a horizontal scrolling shoot 'em up for the Sega Mega Drive developed by Aprinet and published by Soft Vision in 1993. The game gave players immediate access to three directional-based weapons that could all be powered up as they fought strange alien enemies through eight, enormous levels. The game was never released outside of Japan and South Korea. 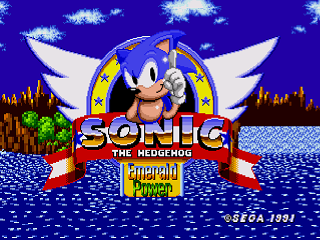 Emerald Power is a Sonic the Hedgehog hack where you will be searching for the Chaos Emerald all over the place. 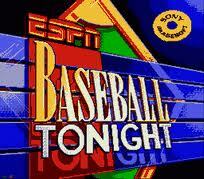 ESPN Baseball Tonight is a baseball video game for the PC, Super NES, Sega Mega Drive/Genesis, and Sega (Mega-)CD. ESPN SpeedWorld (formally Auto Racing '79-'86) is the name of a former television series broadcast on ESPN from 1979–2006. The program that was based primarily based around NASCAR, CART, IMSA, Formula One, NHRA, and IHRA. The theme music is a based on the piano interlude from "18th Avenue (Kansas City Nightmare)" by Cat Stevens. ESPN Sunday Night Football was the ESPN cable network's weekly television broadcasts of Sunday evening National Football League (NFL) games. The first ESPN Sunday night broadcast occurred on November 8, 1987, while the last one aired on January 1, 2006. Former NFL Commissioner (1989-2005) Paul Tagliabue credits ESPN with raising the "profile" of the league, from turning "a potential six- or seven-hour television experience into a twelve-hour television experience."